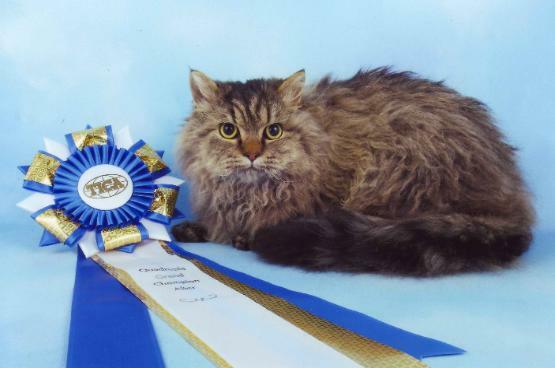 best in Show Kitten overall. 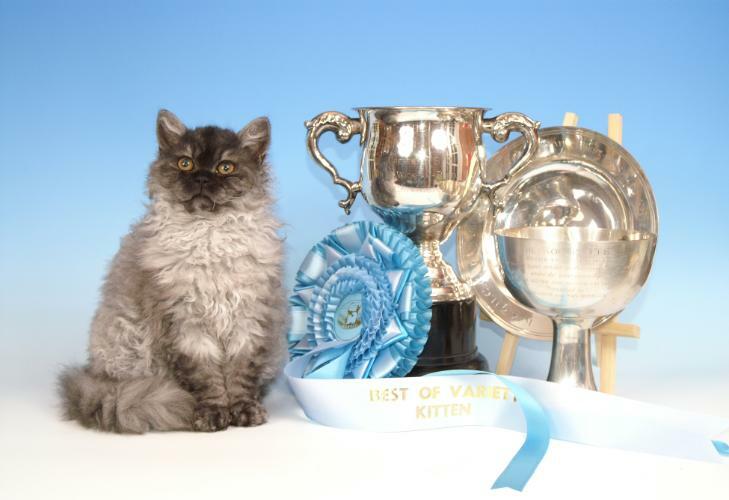 Holly's Best of Variety awards. 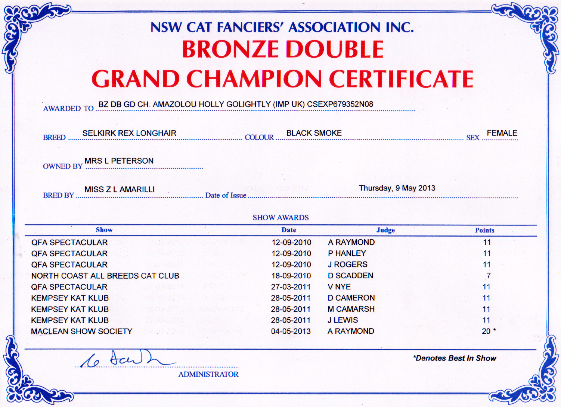 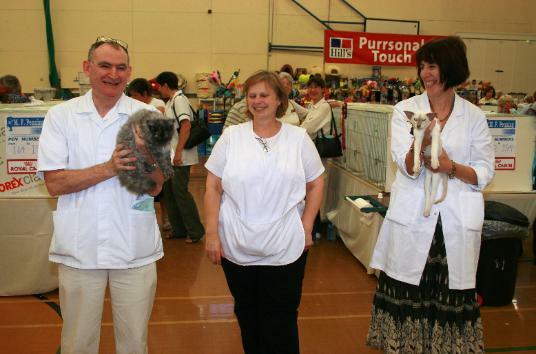 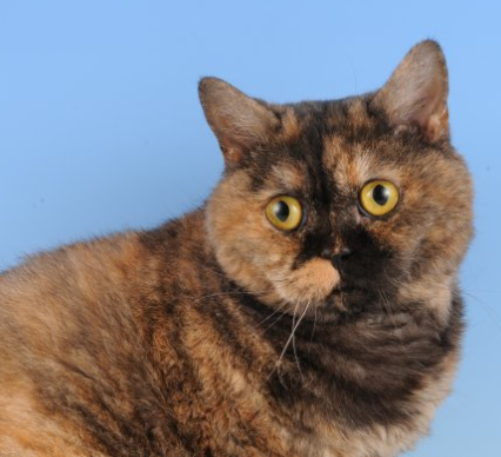 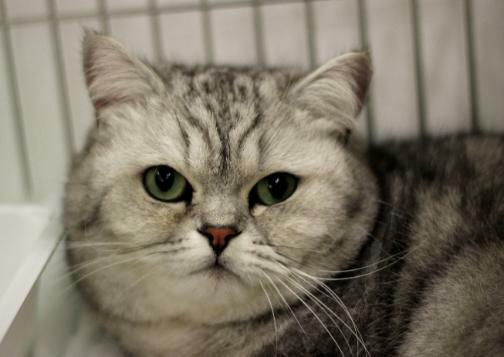 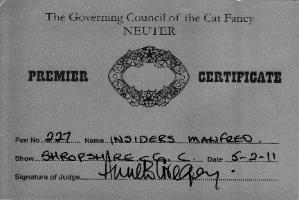 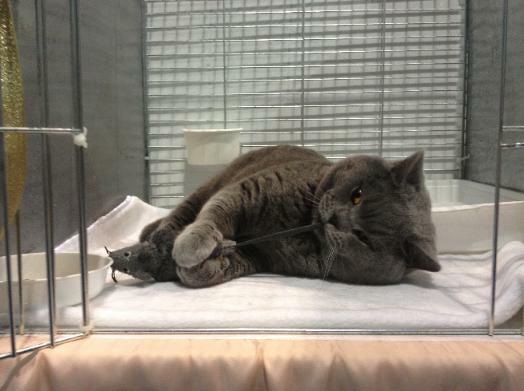 been in shown in several New south wales Cat Shows. 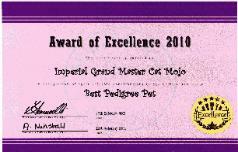 held their AGM & annual award ceremony. 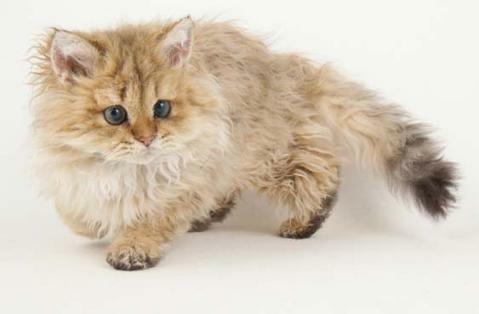 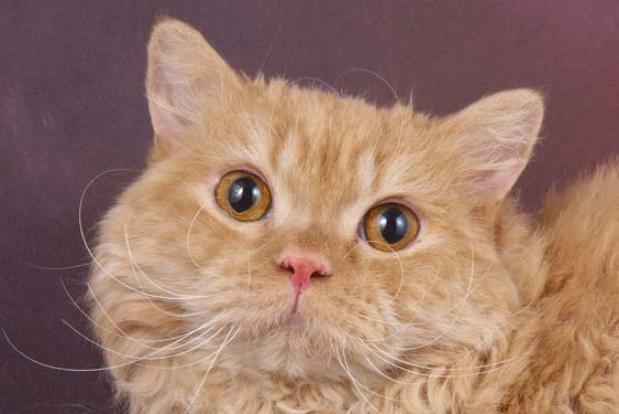 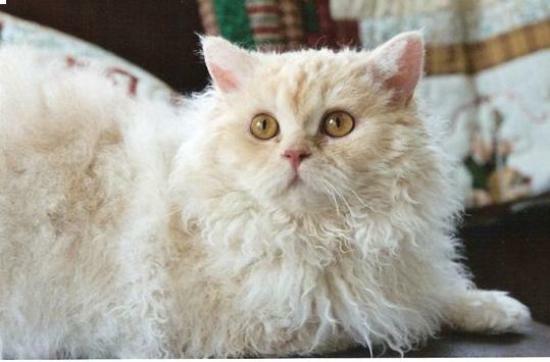 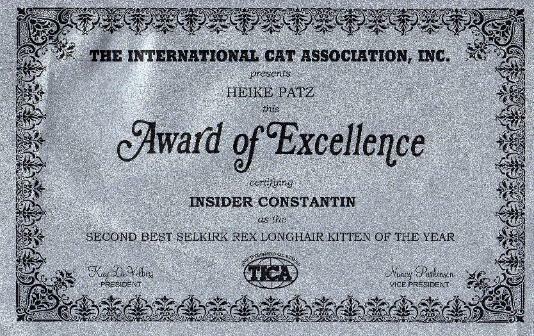 BEST LONG HAIRED SELKIRK REX KITTEN !!! 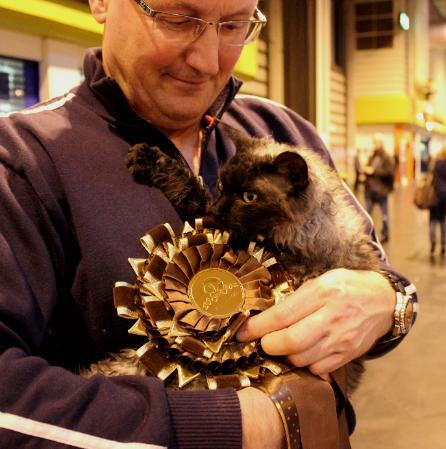 Best of Breed & the CC award. 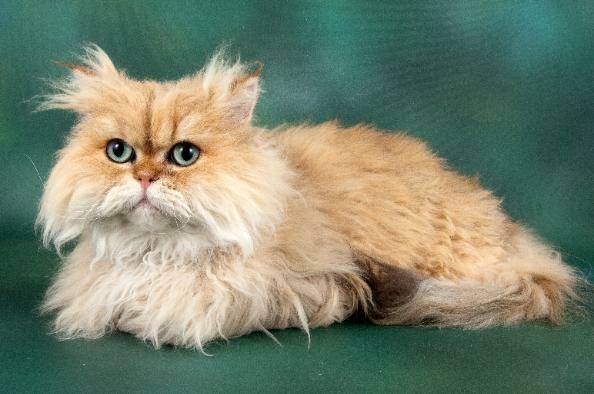 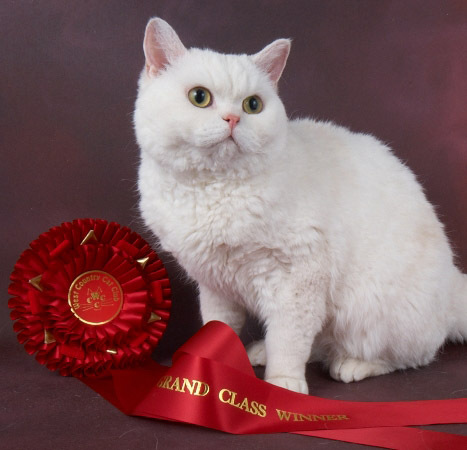 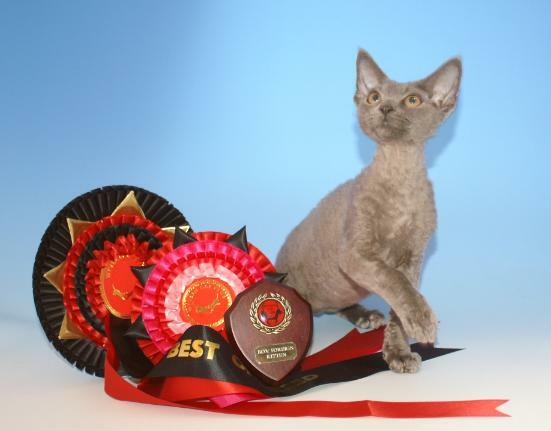 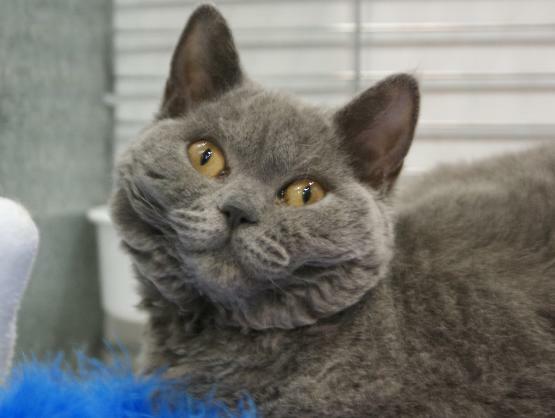 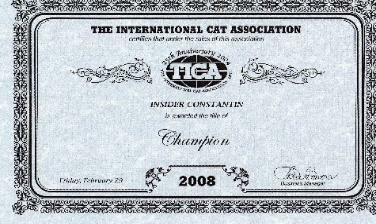 Thank you to the judge Mrs V. Anderson for 1st open class Selkirk Rex Adult, & the CC award. 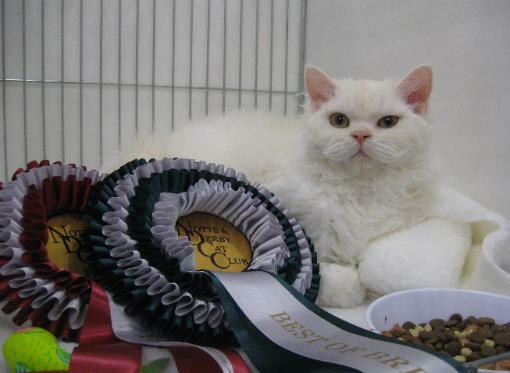 Thank you to the judge Mrs J Higgins for 1st open class Selkirk Rex Adult, CC & Best of Breed award. 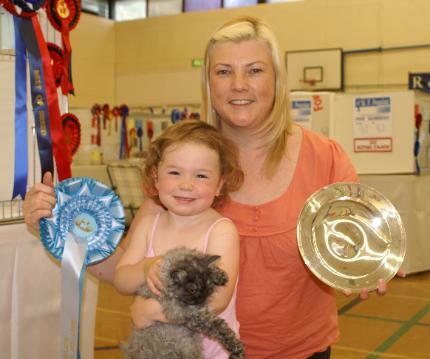 Well done to the gorgeous Moosh and owner expert groomer Sarah Walker. 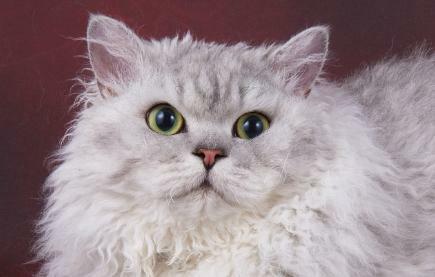 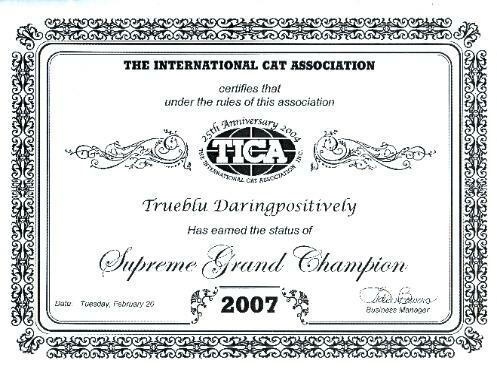 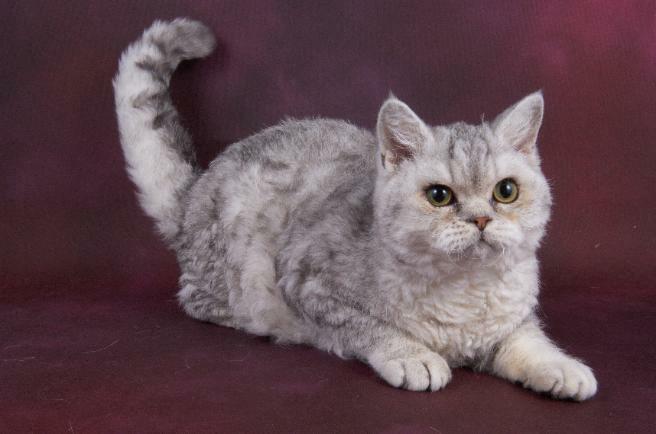 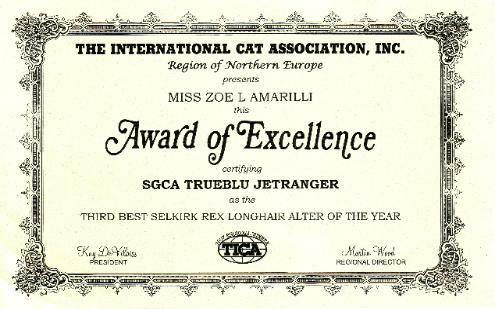 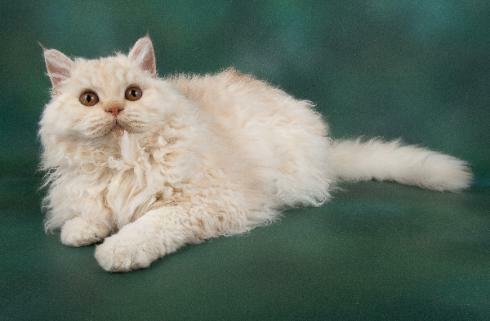 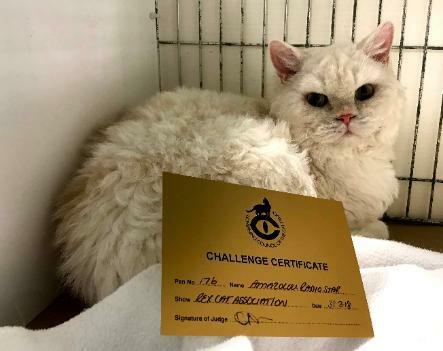 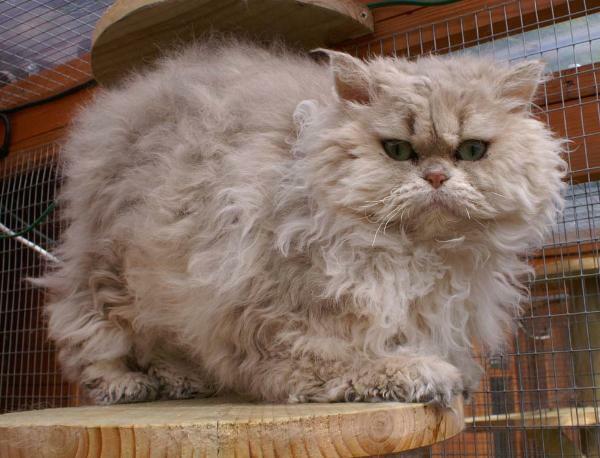 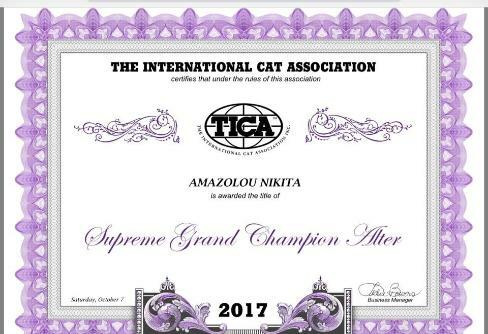 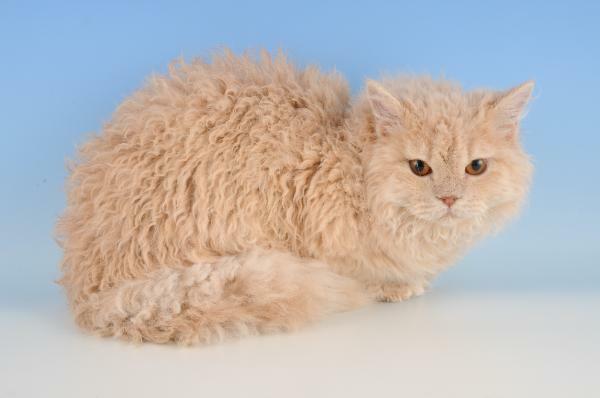 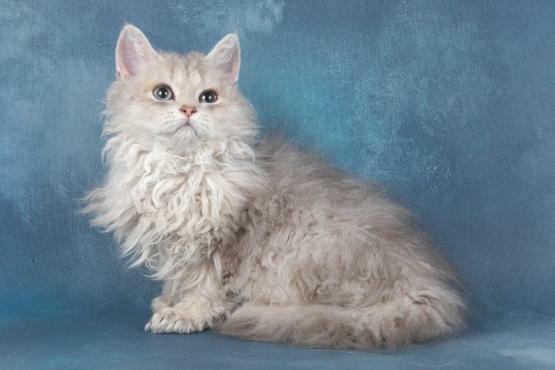 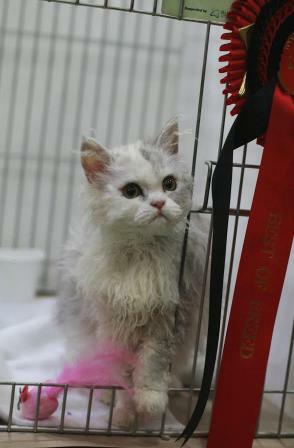 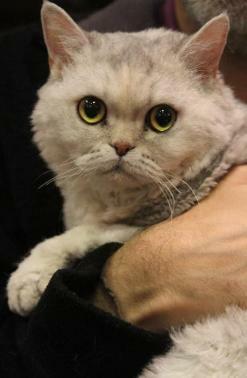 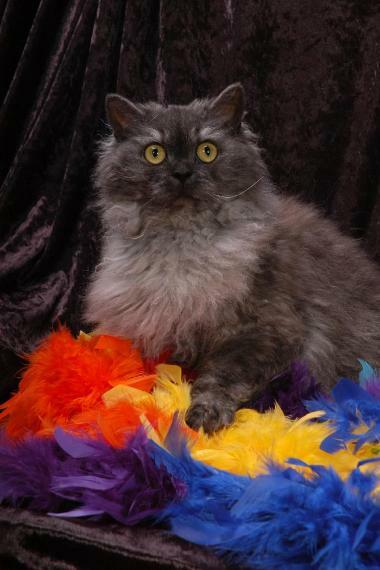 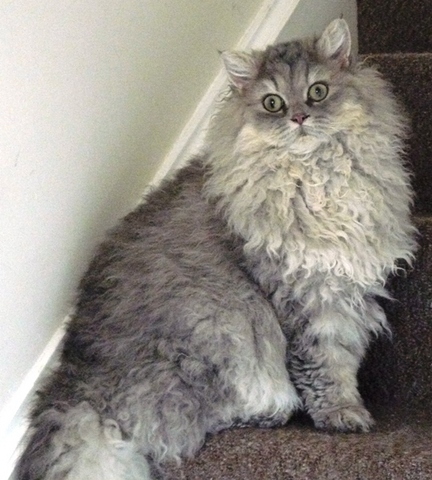 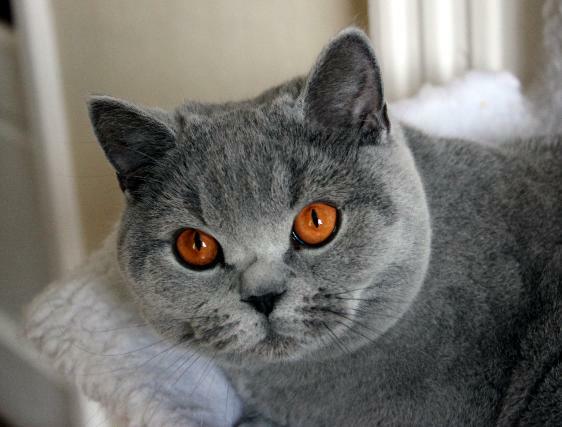 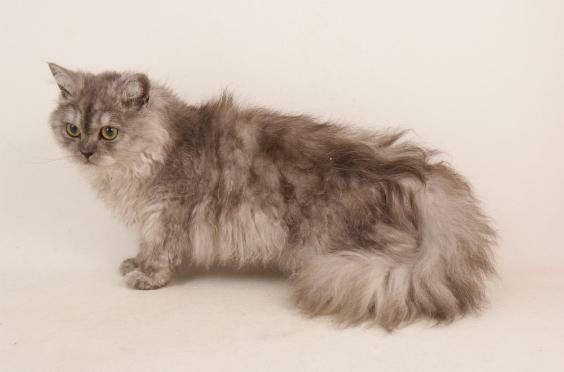 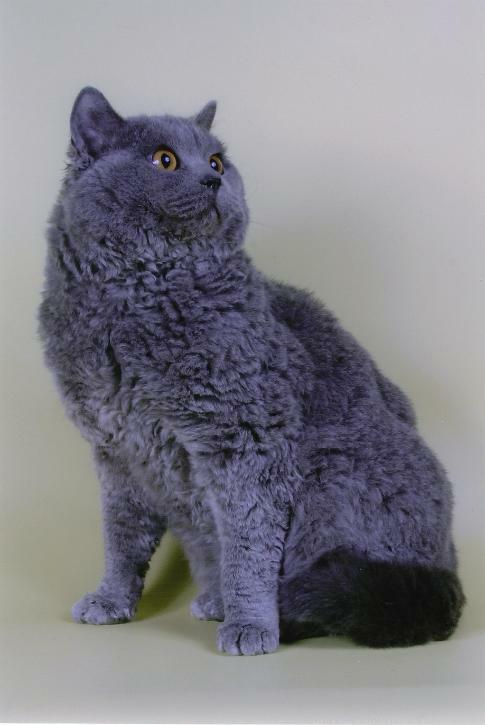 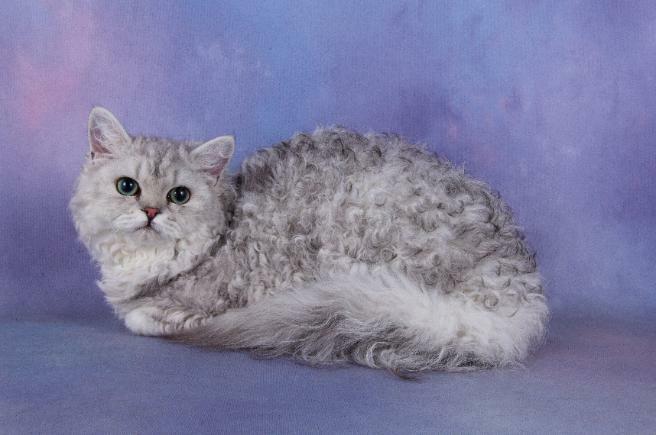 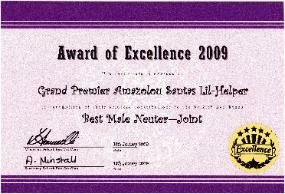 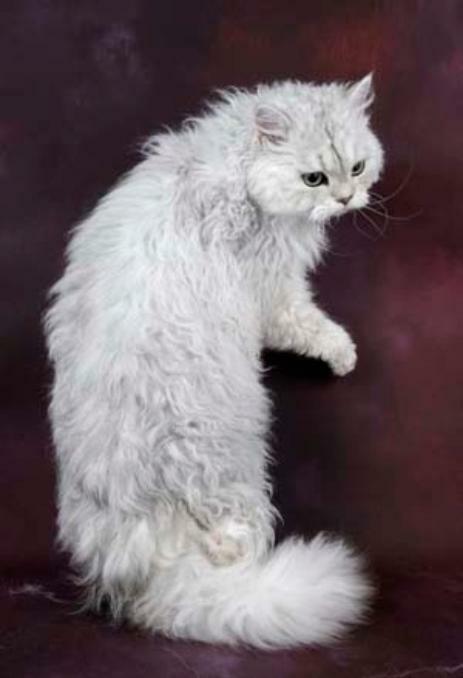 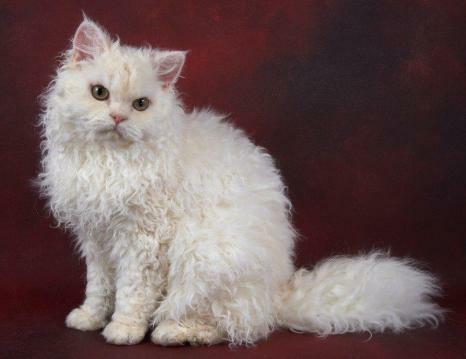 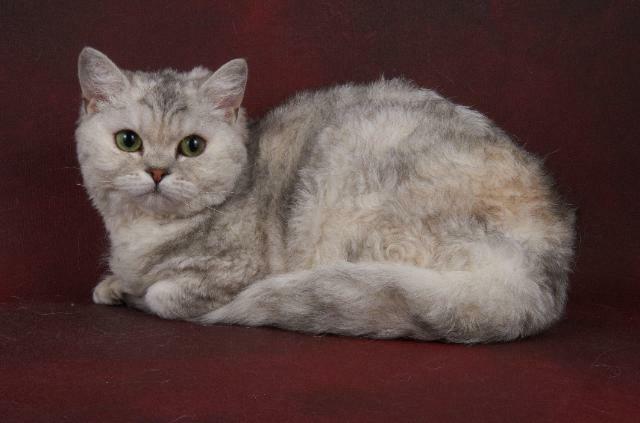 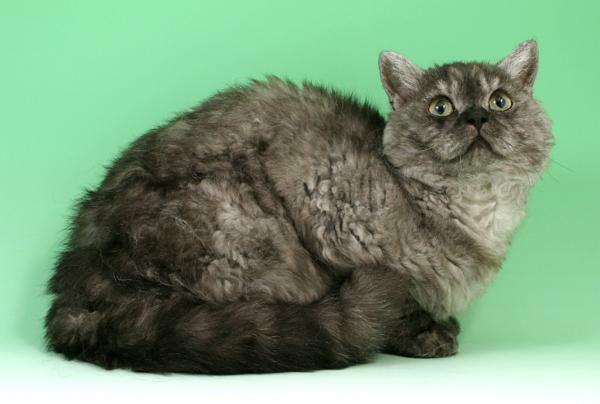 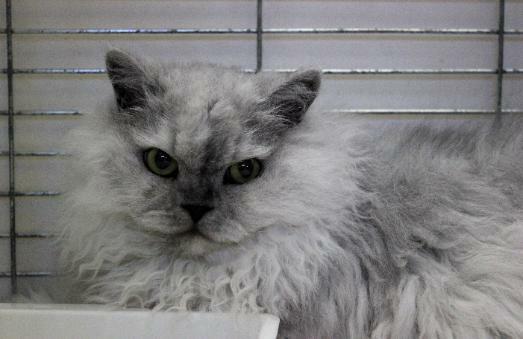 Best Silver Shaded Selkirk Rex Longhair Internationally. 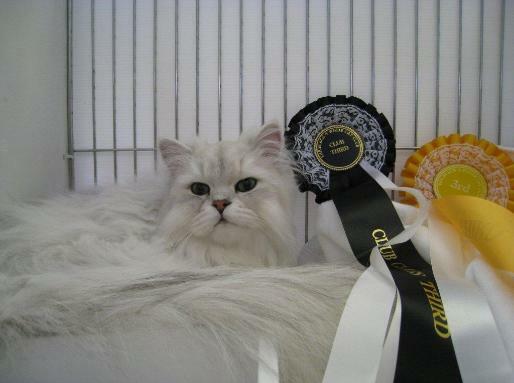 Shown by his new Mum Gudrun.